Chemobrain refers to a common sequela experienced by a substantial subset of cancer patients exposed to chemotherapeutic treatment, a phenomenon that dramatically deteriorates the survivors’ quality of life and prevents them from restoring their pre-cancer life. This review is intended to address the current knowledge regarding the mechanisms underlying the pathophysiology of the chemobrain phenomenon, with special focus on the antineoplastic agent ‘’doxorubicin’’, which has been shown to be implicated in strenuous central neurotoxicity despite being—almost entirely—peripherally confined. 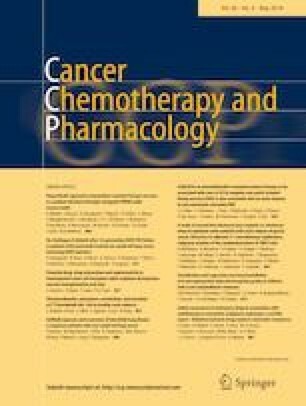 Moreover, the assessment of the post-chemotherapy cognitive impairment in both human and animal subjects, and the potential pharmacotherapy and behavioral intervention strategies are reviewed. The authors would like to thank Ms. Amany El-Shahawy Abdel-Maged, National Organization for Research and Control of Biologicals (NORCB), Cairo, Egypt, for her contribution to gathering data about positron emission tomography (PET) for this manuscript. All authors have read the journal’s authorship statement and agree to it. In accordance with your journal’s policy, we confirm that the material contained in the manuscript is original and has not been published and is not being submitted elsewhere. The authors qualify for authorship and have no financial or personal relationships that might lead to conflict of interest. This manuscript is being submitted online in accordance with your policies for this type of submission.